I review a lot of accessories. Most get sent back when I’m done with the. Some come to live in my garage. Others I am thrilled to be able to hold on to. The TwelveSouth Hoverbar falls into the latter of these three categories. 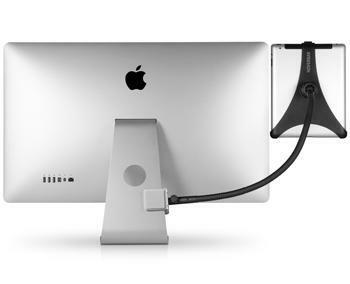 Slick, easy to use and ready to clamp on to the back of your iMac, or a desk, the Hoverbar is a piece of hardware I never knew I wanted until I had it, and don’t think I’d want to go without again.